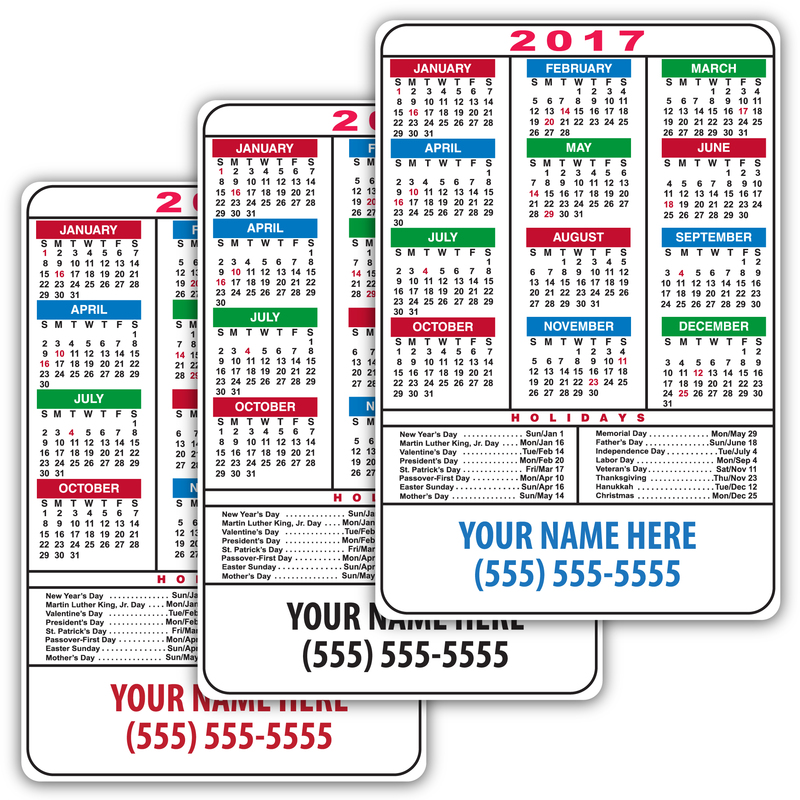 Multicolor Magnetic Calendar with Holidays. White with multicolor accents. 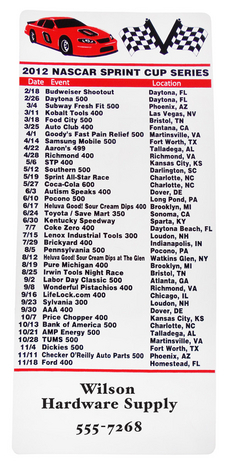 Magnetic Calendar. White with black accents. Magnetic Business Card. Available in green, orange, yellow, or pink. Also available in white. 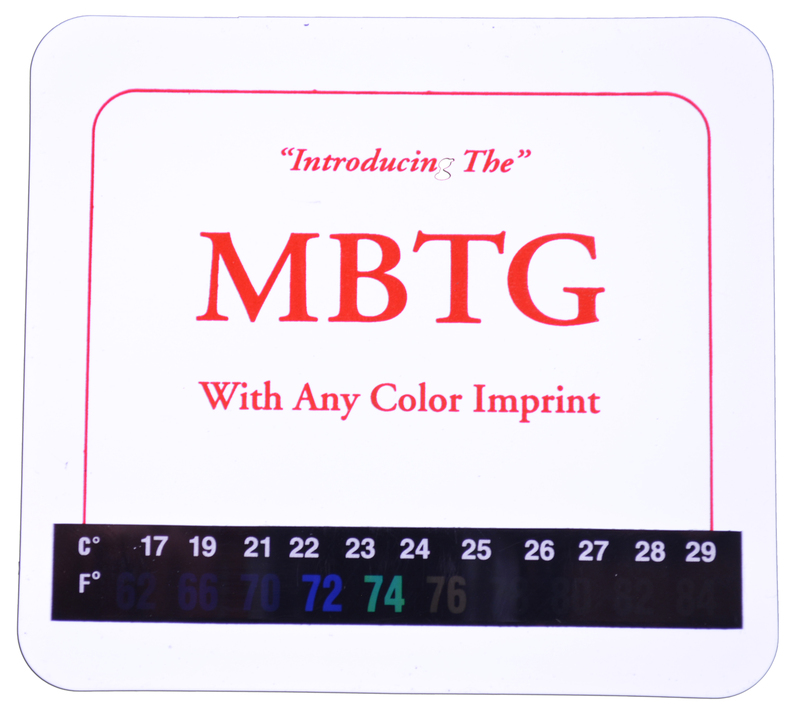 Introducing the MBTG, a new product for 2018! 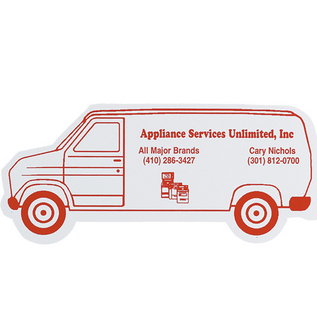 This white magnet features a red border which surrounds your custom imprint in the center. We imprint with your choice of any color! What really makes the magnet stand out is the thermometer strip on the bottom of the magnet which glows the degree Fahrenheit of the ambient temperature. Scale is from 62 to 84 degrees F. For those who prefer the metric system, there is a Celsius scale directly above the fahrenheit scale! 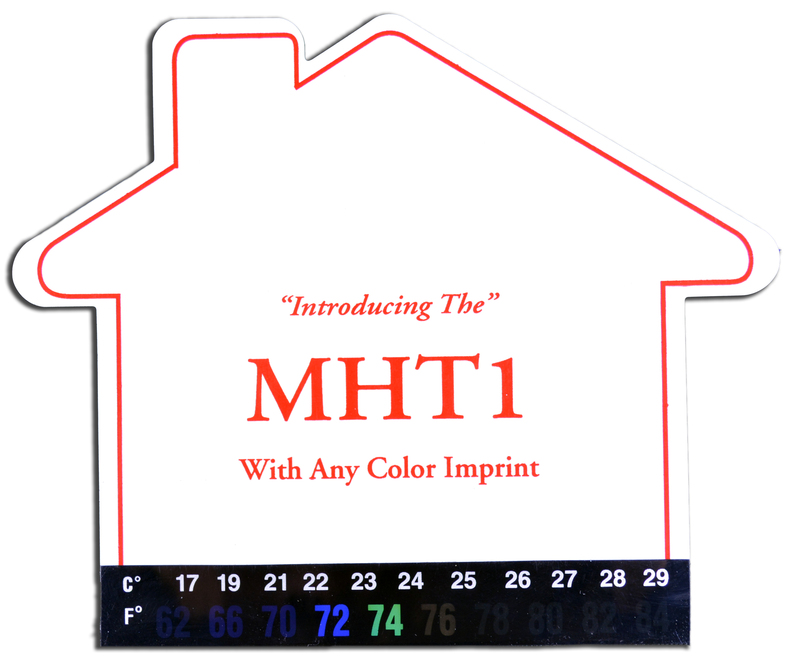 The MHT1 is a new product that we are offering in 2018! This house-shaped magnet features red borders that enclose the imprint area. 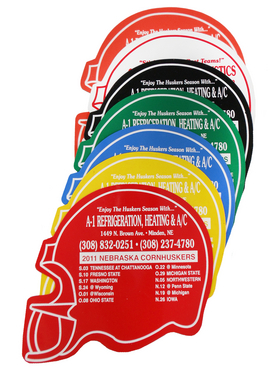 We imprint your logo in ANY color that you choose. What really makes this magnet stand out is the thermometer strip on the bottom of the magnet which glows the degree Fahrenheit of the ambient temperature. Scale is from 62 to 84 degrees F. For those who prefer the metric system, there is a Celsius scale directly above the fahrenheit scale! This is a new product for 2018! 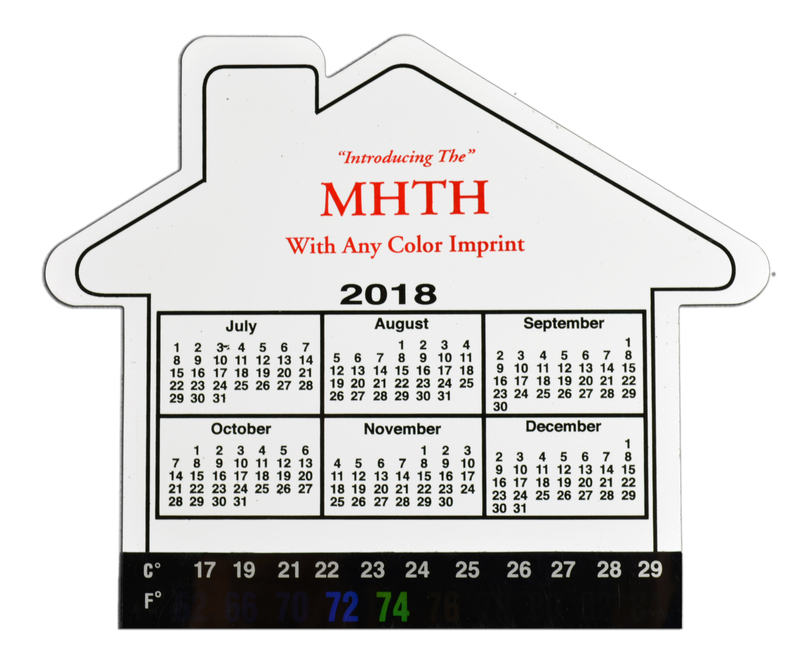 A magnetic house calendar with a thermometer strip on the bottom. This thermometer strip shows a colored band at the temperature of wherever the magnet is placed. 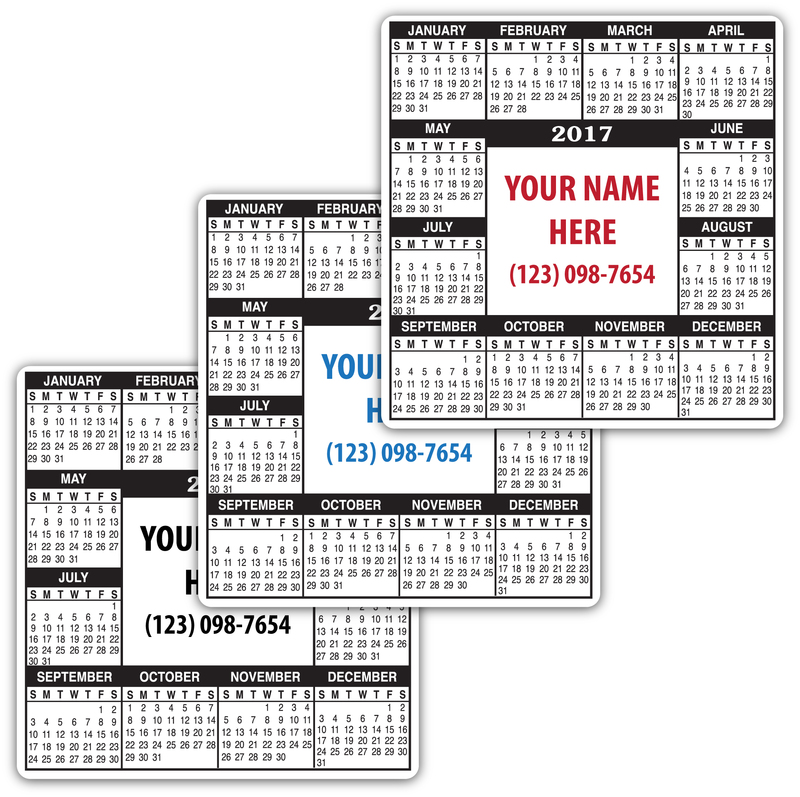 Imprint your logo above the calendar to spread awareness of your brand or company! 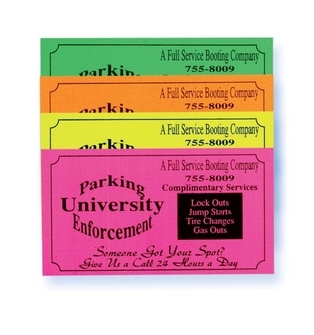 Imprint colors are available in black, blue, red, green, or purple. 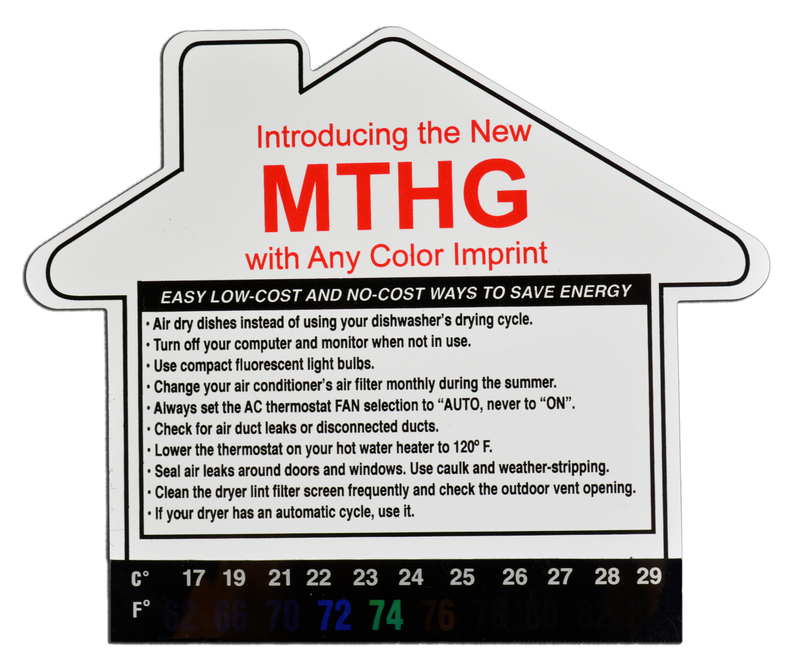 MTHG – New for 2018!! This white magnet features a black border which surrounds your custom imprint in the center. 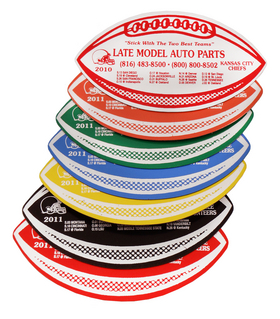 We imprint with your choice of any color! Directly below your imprint we list a number of great energy saving and cost-saving tips that can help you out around your home or business! What really makes the magnet stand out is the thermometer strip on the bottom of the magnet which glows the degree Fahrenheit of the ambient temperature. Scale is from 62 to 84 degrees F. For those who prefer the metric system, there is a Celsius scale directly above the fahrenheit scale! Van Magnet. Available in white and yellow. 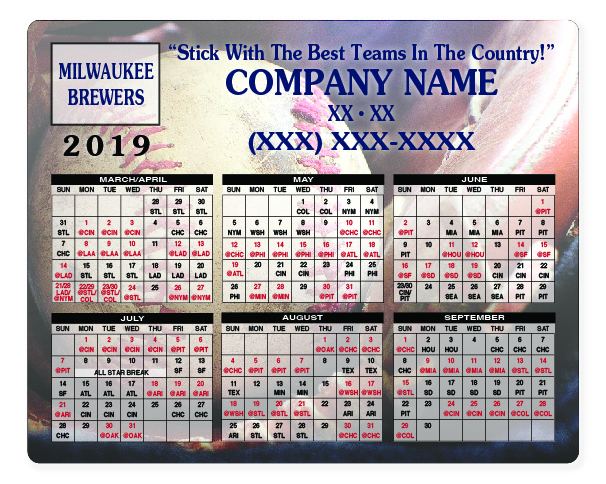 This full color Baseball Schedule Magnet measures 6″h x 7.5″w and can be customized to the team of your choice.